Welcome to Lee's Trees - some things are still worth doing the old-fashioned way and that's how it is with Christmas trees. There's nothing quite like setting aside a sunny afternoon for an outing to a tree farm. 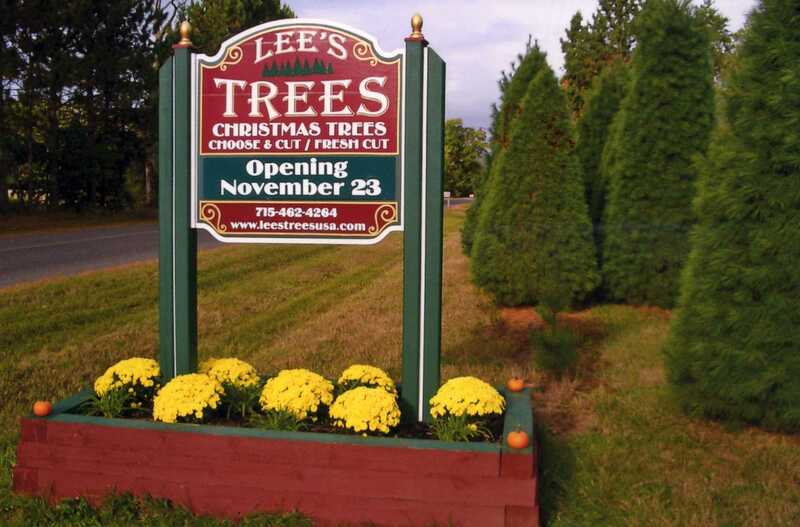 At Lee's Trees, you'll create a family tradition while taking home a great tree and Christmas memories you'll keep forever. 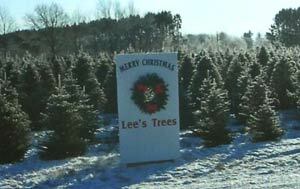 Lee's Trees - Lily Lake is a small choose and harvest Christmas tree farm located on 14 acres 10 miles west of the Fox Valley in western Kane County. 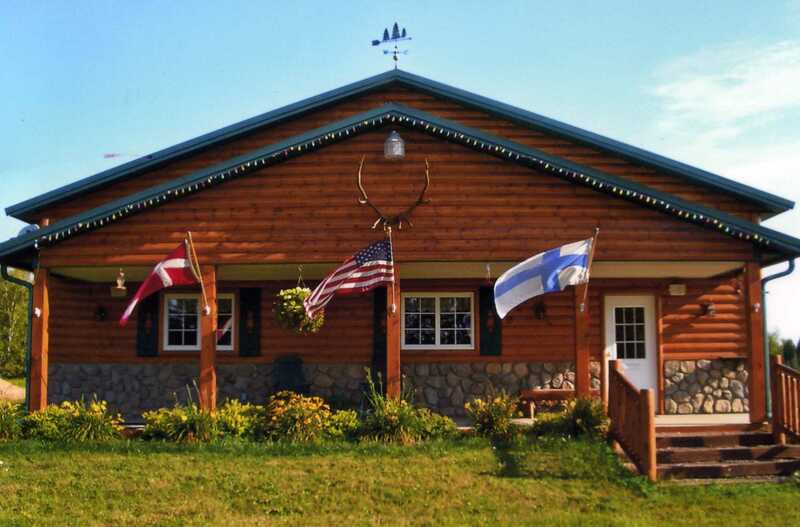 We are a full-service, family farm and what we lack in size, we make up for in service to our customers. Our pre-cut trees, harvested weekly from our Wisconsin farms, have become especially popular because they are the freshest you'll find. Our 25th season begins Friday, Nov. 23 from 9-5 and continues weekends from 9-5 through Dec. 16 or sold out. Thank you for considering our farm and we look forward to your visit. Trek out with one of our saws to search out your perfect tree. 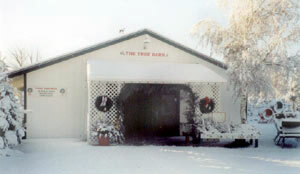 Once it's back at our Tree Barn, we'll shake it clean, bale it up, and help you load it - all at no charge. 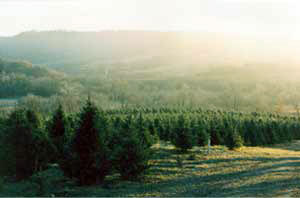 Pick from 4'-9' Scotch pine, White pine, Canaan fir, Fraser fir, Balsam fir, and Serbian and Norway spruce. Tagged individually and priced by size, species, and quality, the average price is $67. Trees are harvested from our two Wisconsin farms on a weekly basis to ensure freshness. Trees are hand selected from thousands and are priced individually based on size, species, and quality. We will begin our harvest the second week of November and continue through Dec. 8, weather permitting, so, many trees purchased are harvested only 2 or 3 days previously. Choose from table top to 12' Fraser fir, Balsam fir, Canaan fir, White pine, and lightly sheared old-fashioned Balsam fir from northern Wisconsin. The average price of a 7'-8' tree: Balsam Fir - $65-$70, Fraser Fir - $90-$110, White Pine - $50-$55. 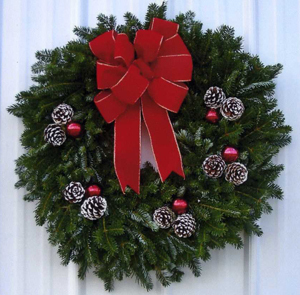 Fresh, hand-crafted wreaths, swags, centerpieces, roping, and decorations are made daily. These are heavy and full bodied, made from Fraser and Balsam Fir, White Pine, and Cedar, which we harvest ourselves. Accented with Noble Fir, Silver Fir, and blue-berried juniper and topped off with high quality, handmade bows in various sizes. 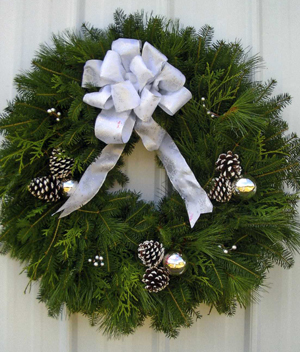 Choose from a selection of bows and decorations and we'll customize your wreath while you wait. We also have bundles of assorted boughs available for your holiday decorating. Warm up in our sales shop where you'll enjoy free hot chocolate, coffee, fresh popcorn, and homemade cookies. Before you leave, we'll capture a holiday photo by your tree or one of our decorated trees. 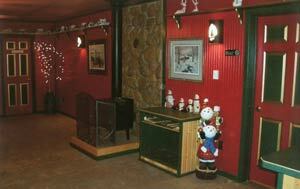 The following season, you can "harvest" your Christmas photo from one of our display boards. Pre-season tagging begins November 3. Many of our customers pay us an early visit to select, tag and hold their perfect tree to be harvested later in the season. Please come out at your convenience. From the intersection of Rts. 47 and 64, take Rt. 47 north 2 1/2 miles to Lees Rd. Turn west 1/2 mile to Lee's Trees. Just follow the signs. Credit Cards are accepted at both farms. 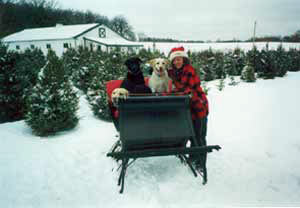 Lee's Trees - Hayward is a choose and harvest Christmas tree farm located on 80 acres 13 miles east of Hayward, WI. 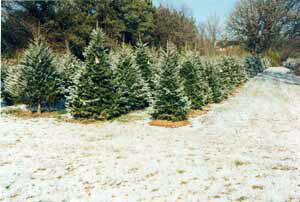 Choose from thousands of sheared and semi-sheared firs, pines, and spruce. 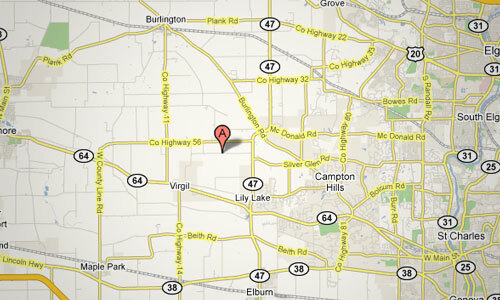 We are a full-service farm and we'll do whatever we can to help you harvest your perfect tree. Our season begins Friday Nov. 23 from 9 - 5 and continues weekends from 9 - 5 through Dec. 16. 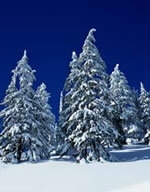 Tree varieties: table top to 15 foot Balsam, Fraser and Canaan Fir, Scotch and White Pine. Fraser Firs are individually priced. All other trees are $6.00 per foot. pricing: trees are priced by height. harvested weekly to ensure the freshest pre-cut tree you'll find. displayed indoors in our Tree Barn. choose from Fraser Fir, Balsam Fir, Canaan Fir, and White Pine. After you've harvested your perfect tree, we'll shake it clean, and if you'd like, bale it in twine and help you load it. Then, warm up by the wood stove in our sales shop and enjoy free hot chocolate, coffee, and popcorn. We'll be happy to capture a holiday photo by your tree or our decorated Christmas tree. The following season, you can "harvest" your Christmas photo from our display board. 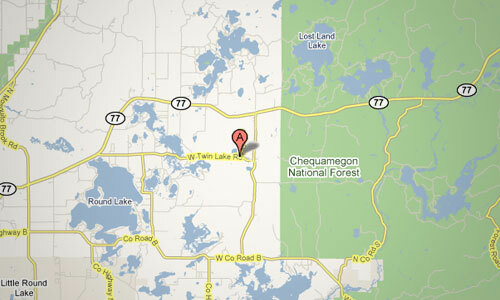 From Hayward, take Hwy 77 east 8 miles to Twin Lake Rd. Then, turn right 5 miles to Lee's Trees. Just follow the signs. Credit cards are now accepted at our Wisconsin farm. P.S. We are a pet friendly farm, so bring the whole family! 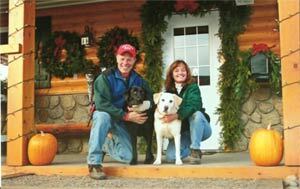 Lee Richardson and all of us at Lee's Trees look forward to your visit this Christmas season.